Working through grief is emotionally, spiritually and physically exhausting! Rest is good; it's essential! I wish I could make it mandatory because it's what some of my readers need so badly. Some are too stubborn to rest and will require a break down. They are tempted to do life their way, refusing help and sadly, refusing to flee the temptations of anger, pride and independence. A young lady confidently walked around the room with a raised glass of water while explaining stress management to an audience. Everyone thought she was going to ask the ultimate question, 'half empty or half full?' But she fooled them all. "How heavy is this glass of water?" she inquired with a smile. She replied, "The absolute weight doesn't matter. It depends on how long I hold it. If I hold it for a minute, that's not a problem. If I hold it for an hour, I'll have an ache in my right arm. If I hold it for a day, you'll have to call an ambulance. In each case it's the same weight, but the longer I hold it, the heavier it becomes." She continued, "That's the way it is with stress. If we carry our burdens all the time, sooner or later, as the burden becomes increasingly heavy, we won't be able to carry on." 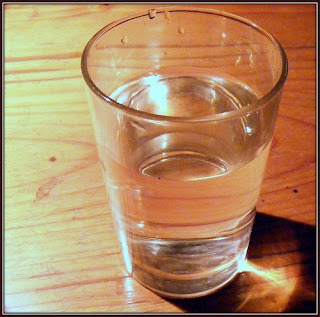 "Like a glass of water, you have to put stress down for a while and rest before holding it again. When we're refreshed, we can carry on with the burden again - holding stress longer and better each time practiced. So, as early in the evening as you can, put all your burdens down. Don't carry them through the evening and into the night... pick them up tomorrow." Whatever burdens you're carrying now, why not let them down for a moment this weekend? If you're a child of God you can cast that burden on the Lord. Relax. You can pick your problems back up later when you're refreshed if you don't want to leave them with the Lord.